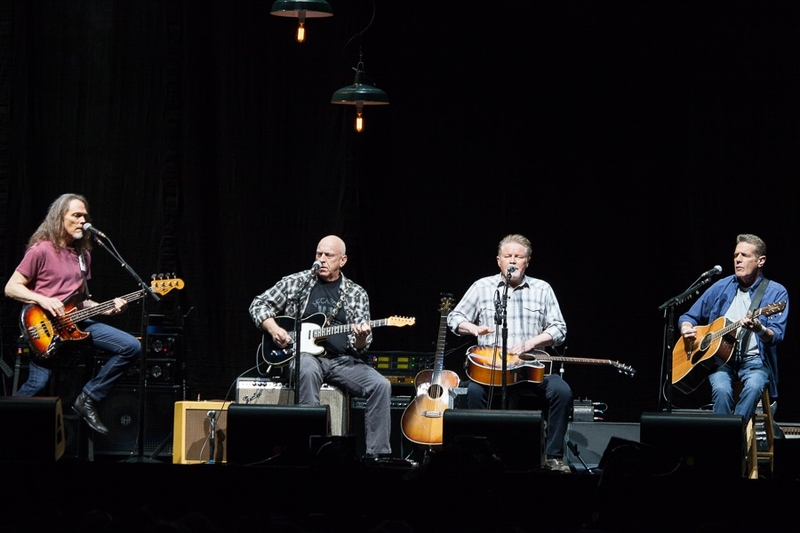 The Eagles, along with Alison Krauss and Ethiopian musician Mulatu Astatke, will be awarded honorary doctorates at the Berklee College Of Music this weekend. On Friday night the students performed a concert for the honorees at Boston University. 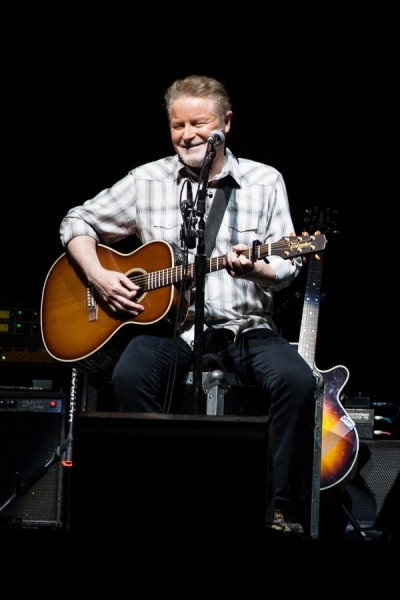 Don Henley, Glenn Frey, Joe Walsh and Timothy B. Schmit sat in the third row of the auditorium while students from the College performed their songs. 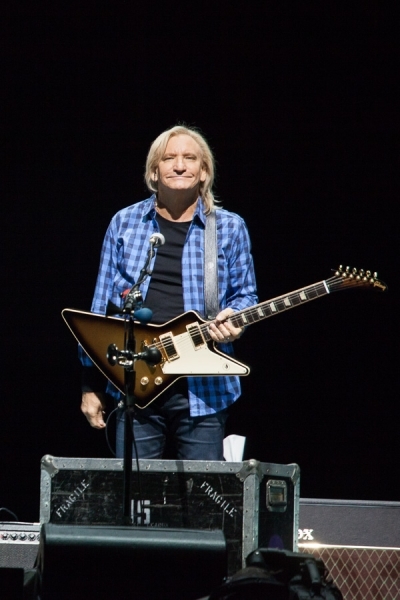 The students treated the Eagles to their own versions of the ‘Take It Easy’ and ‘I Can’t Tell You Why’ as well as Joe’s ‘Funk #49’, Timothy’s ‘Keep On Trying’, Don’s ‘The Heart Of The Matter’, Glenn’s ‘The Heat Is On’ and then more Eagles all-time classics ‘Desperado’, ‘Hotel California’ and ‘Heartache Tonight’. Alison Krauss joined the students on stage and sang her gospel classic ‘Down In The River To Pray’ with them. 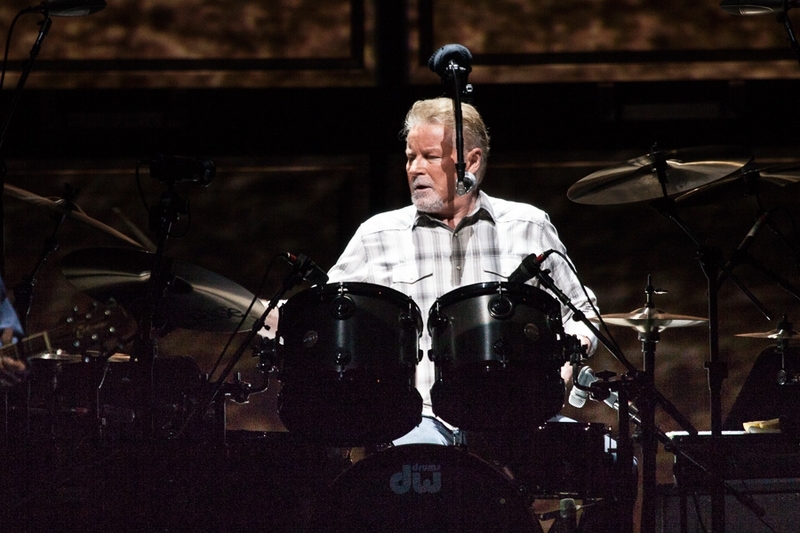 Don Henley, Joe Walsh, Timothy B. Schmit and Glenn Frey of the Eagles, Alison Krauss and Mulatu Astatke will receive their honorary doctorates tonight from the University. The first ever recipient of an honorary doctorate was Duke Ellington in 1971. The honor has also been awarded to Dizzy Gillespie, Smokey Robinson, Steven Tyler, Aretha Franklin, Quincy Jones, Juan Luis Guerra, Paco de Lucia, David Bowie, the Edge, Gloria and Emilio Estefan, Chaka Khan, Bonnie Raitt, Ahmet Ertegun, Kenneth Gamble, and Leon Huff. 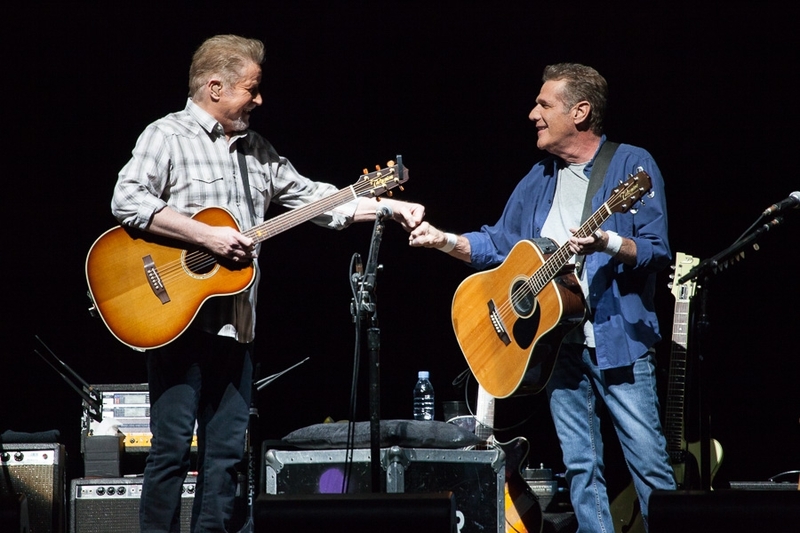 The Eagles — Don Henley, Glenn Frey, Joe Walsh, Timothy Schmit — have sold more than 120 million albums worldwide, with five number one singles, six Grammy Awards, five American Music Awards, and six number one albums. Their Greatest Hits 1971-1975 is the best-selling album of all time, exceeding sales of 29 million units. The band’s Hotel California and Eagles Greatest Hits, Vol. 2 have sold more than 16 million and 11 million albums, respectively. 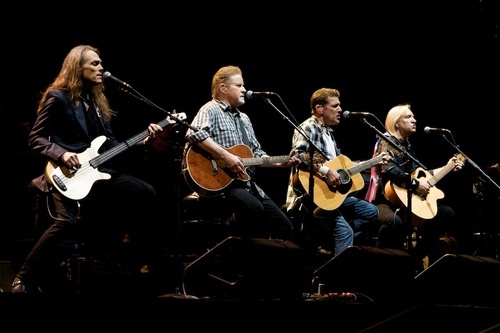 The Eagles were inducted into the Rock and Roll Hall of Fame in 1998. For more information, visit eaglesband.com. Alison Krauss is a bluegrass virtuoso who effortlessly bridges the gap between roots music and country, rock, and pop. A highly sought-after collaborator, she has worked with some of the biggest names in popular music, including James Taylor, Phish, Dolly Parton, Yo Yo Ma, and Bonnie Raitt. Since signing with Rounder Records at 14, Krauss has sold over 12 million albums and won 27 Grammy Awards, the most for any female and the second most of any recording artist in Grammy history. Her work on films such as Cold Mountain and O Brother Where Art Thou contributed immeasurably to a renaissance in American roots music. Her latest album — recorded with her longstanding band Union Station — is the endlessly impressive Paper Airplane (2011), which debuted at #1 on the Billboard Country, Bluegrass, and Folk Album charts upon its release earlier this year. For more information, visit alisonkrauss.com. Mulatu Astatke is an Ethiopian musician (piano, organ, vibraphone, percussion), composer, and arranger. He is known as the father of Ethio-jazz, a unique blend of pop, modern jazz, traditional Ethiopian music, Latin rhythms, Caribbean reggae, and Afro-funk. Born in 1943, Astatke was musically trained in London, New York City, and Boston, where he was the first African student at Berklee College of Music. He went on to work with Duke Ellington and other acclaimed jazz artists, found a music school, and open his own club. Astatke’s work shepherded in a golden age in Ethiopia’s pop and jazz circles from 1968 to 1974. In 2004, he began collaborating with Either/Orchestra, and in 2009, he released an album with the London-based collective the Heliocentrics. Since 2010, Mulatu and his band have toured regularly behind Mulatu Steps Ahead, his latest release on Strut Records. For more information, visit Mulatu’s Facebook page. One of the albums with the most pre-order interest so far this year over at Amazon is Windy City by Alison Krauss. It has rarely fallen out of the top twenty since the album was announced a month ago. Alison Krauss is about to release her first solo album in eighteen years. Robert Plant has returned to his "big voice," after spending time concentrating on projects which have required him to sing more softly.